No matter how simple your life is, everyone is drawn to a little bling every once in a while. Sure, we don't all go around wearing gold watches or tailor-made suits. But every so often even those people who wear only gray and never indulge in the shiny section of the store sees something glimmering in a window of a store downtown and are drawn to stare at it, like a moth to a flame. And here's the thing. You don't need to subscribe to Tiffanys to indulge that inclination. All you need is a chain that'll add some flash to your costume cause even if you're not flashy everyone has a secret thing for the bling. 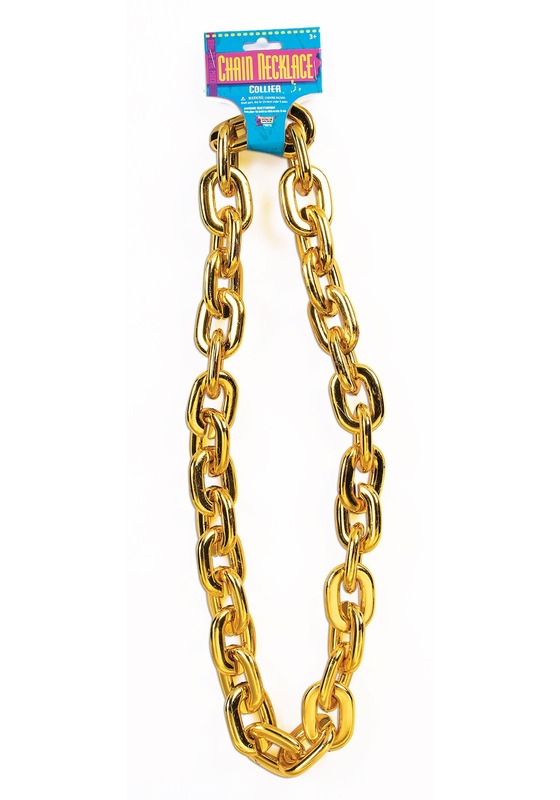 This chunky golden chain is sure to add just what you needed to a variety of different costumes! With twenty-four inches of shining links, you can just throw this chain over your head and head out the door with extra shiny confidence. Sometimes costumes are made by the accessories. This chain will help you really get into character. So spend some time posing in the mirror and taking a couple selfies. You're not just you're everyday self. You're golden!